Christmas is a little over two weeks away. For those of us, who have been giving the same people gifts for many years, it is always fun to reach out and find something new to share as a gift. 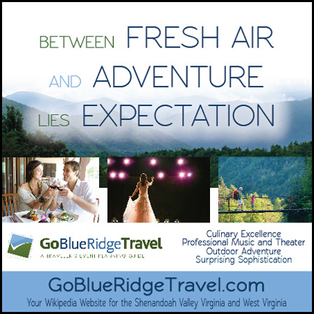 Go Blue Ridge Travel has picked three best christmas shopping choices for unique gifts in the Shenandoah Valley and Piedmont regions. Here are three shops for you to consider visiting before you go the traditional same as last year choices. ‘More than a retail shop —— a commitment to the future.’ Christina Kraybill, owner of My Neighbor and Me, began her journey of becoming a retail merchant at the Lake Ann farmers market in Reston, Virginia. For two and a half years, she went to the market with her fair trade products. Then in the summer of 2012, she received permission from the town council in Berryville, Virginia to open up a tiny shop on the porch of her home. She had 180 square feet of space and stayed open from 10 – 8 pm four days a week. After a year and a half, she moved her shop to Main Street in a small but bigger than her porch upstairs location. Then in October of this year, Christina earned her first floor location on Main Street. ”My Neighbor and Me is a ‘fair trade’ store. Kraybill’s goal was to help small fair trade groups who could not get attention from the larger fair trade shops. My store offers the consumer handmade products and food products from around the world. My hope is that my consumer will gain a larger respect for cultures from around our world and open doors for women in particular to earn a living wage producing a beautiful product that they can have the fair trade organizations market for them.” said Christina. Berryville, Virginia is a Main Street community in Clarke County just off of Route 7 between Winchester and Route 340 to Charles Town. If you can’t get by, you can shop on line and Christina will ship you your purchases. Tom and Linda Neel believe in the words to their gallery – Live An Artful Life. Celebrating handmade in America!, Live an Artful Life is a fine art and fine craft gallery in the beautiful Piedmont Virginia area. Featuring hand-made items from artisans in the U.S. including paintings, pottery, jewelry, glass work, fiber arts and more. More than just a retail gallery, their goal is to educate their followers to their belief that an artful lifestyle is not only a pleasing one, it can contribute to wellness, relationships, and so much more. Looking for that unique artisan level gift for your special friend or partner, Live An Artful Life Gallery offers beautiful yarn bowls for knitters to handmade cheese boards to unique pewter light switch plates – all made by American artists. There are also handmade purses and scarves and of course paintings from miniature landscapes to large murals. The village of The Plains offers a number of restaurants for lunch. Take a road trip and stop by a winery after you have shopped at Live An Artful Life. It is easy to forget that many of our museums in the valley have excellent gift shops with truly unique gift choices. A great way to combine history and Christmas past into your holiday shopping is to visit the Oatlands Plantation. Enjoy a tour of the home as well as an afternoon formal tea and then stroll thru the Carriage House Gift Shop. Choose from an excellent selection of books on historic homes, tea accessories, frames, jewelry, artwork, glassware, ornaments, and toys. Oatlands also features at Christmas the ‘Small Works Art Show’. These original works of art are perfect for small wall spaces, bookshelves and desks and are great for gift giving! Check out Oatland’s calendar of events for the holiday season.